The Chitrakot Falls is a natural waterfall located to the west of Jagdalpur in Bastar district in the Indian state of Chhattisgarh. The Chitrakot Falls is located on the Indravati River. The height of the falls is about 30 metres. 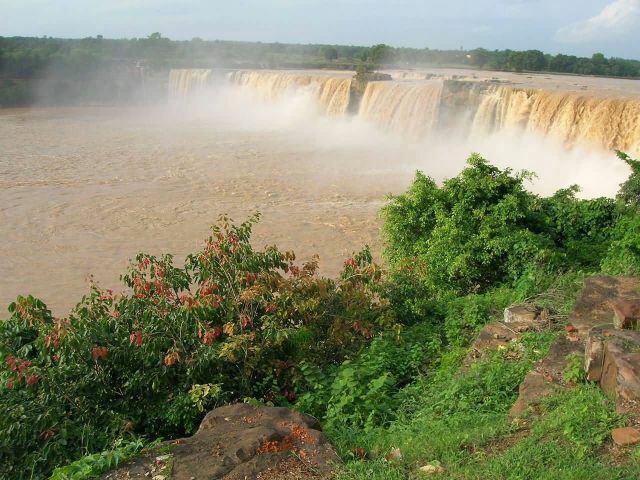 It is the widest fall in India about 300 metres. Because of its width and wide spread during the monsoon season, it is often called the Niagara Falls of India. Chitrakot Falls is one of the two of the waterfalls located in the Kanger Valley National Park and the other is Tirathgarh falls.